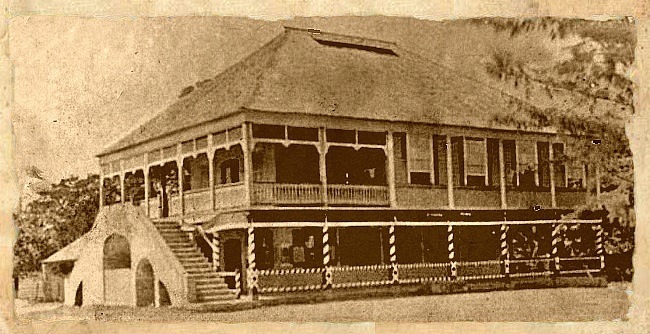 - an edited version of the oldest photograph of the Courthouse that I have found so far, but with no indication of the date it was taken. 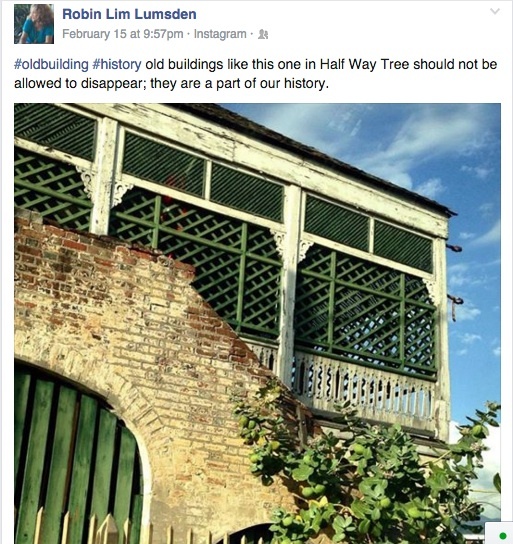 A few days ago this post on Facebook reminded me of some contact I had had, some two decades or so ago, with a project to carry out a restoration of the old Courthouse. 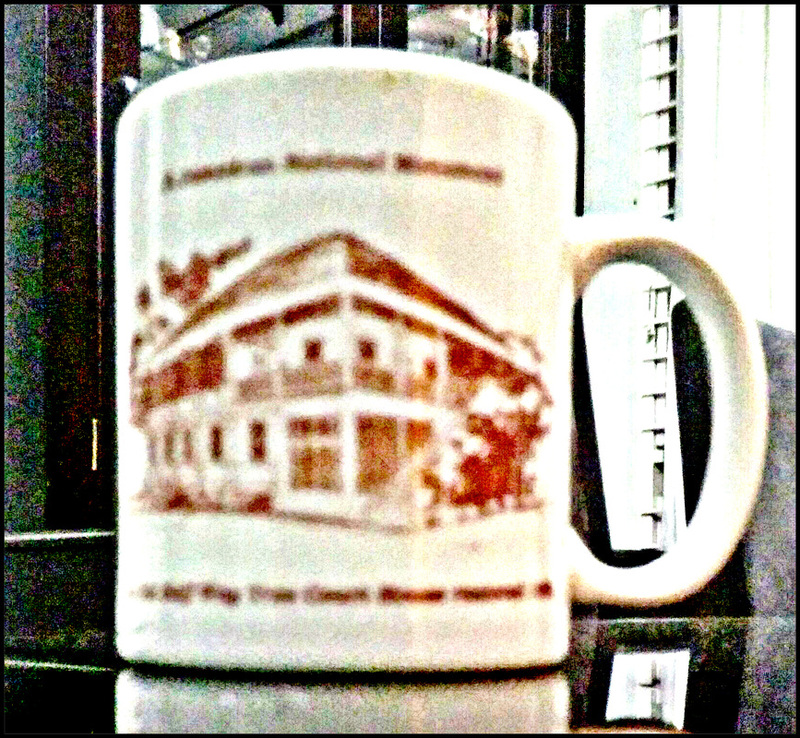 And then I realised that I sometimes drink my coffee out of a mug which commemorates that project! 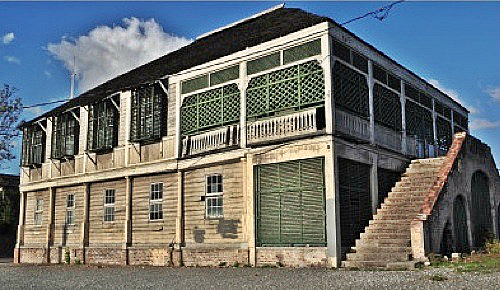 Built in 1807 as the Local Court House. 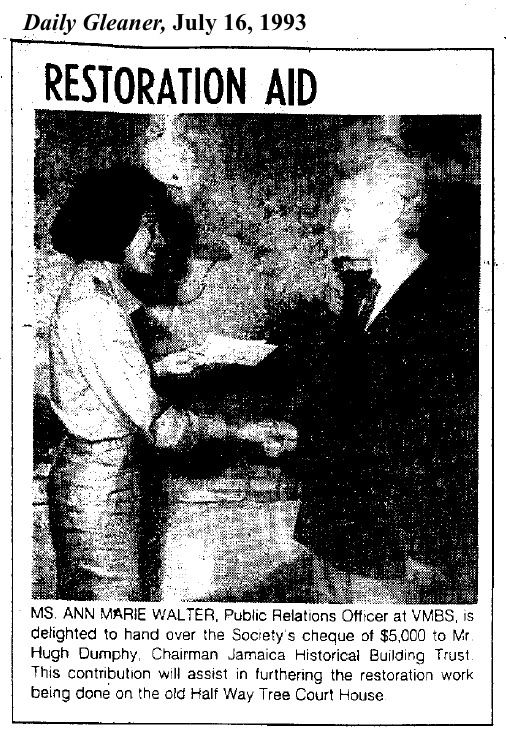 possibly taken in the late 1980s? 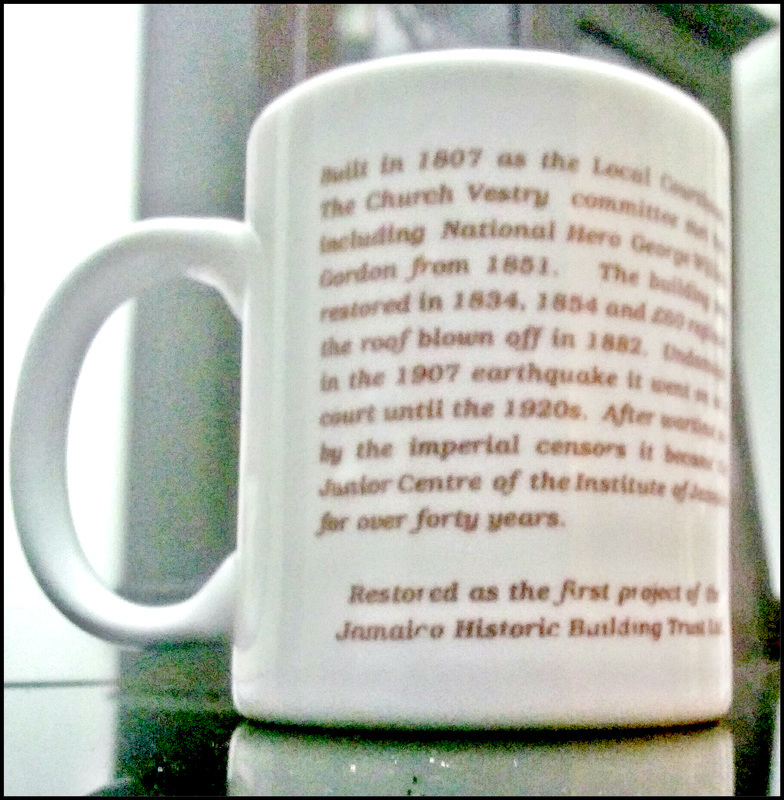 The National Heritage Trust has established an Education Committee to educate the public on the importance of the country's heritage and monuments. 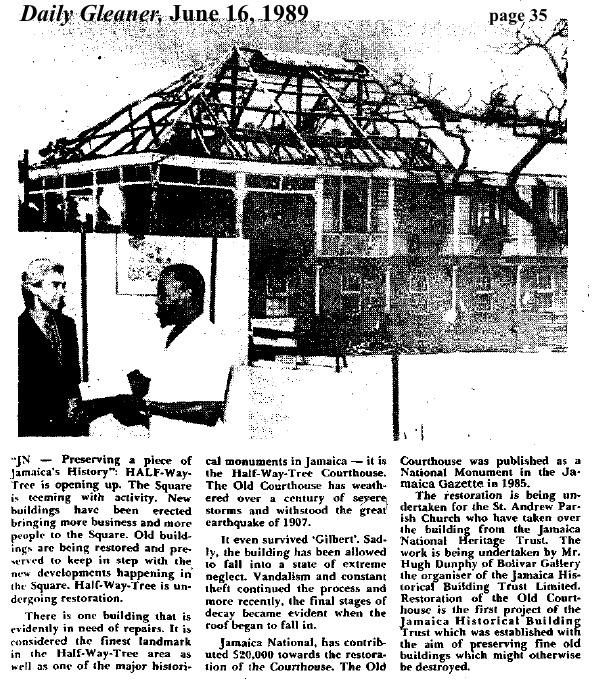 Mr David Taylor Chairman of the Jamaica National Heritage Trust Special Projects Committee said the Half Way Tree Parish Church recently acquired the old Half Way Tree Court House and plans were being prepared for its use as a cultural centre. 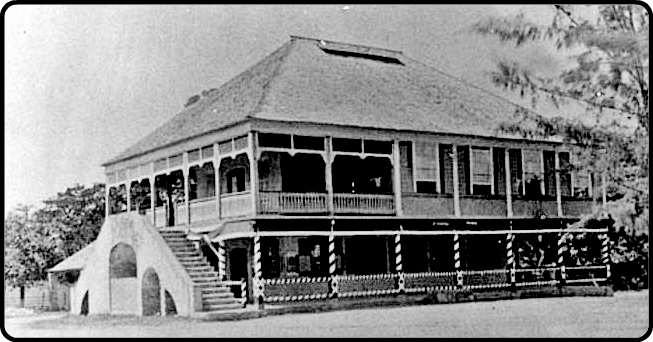 Restoration work would be carefully supervised by the Trust to ensure that the building kept its unique character. 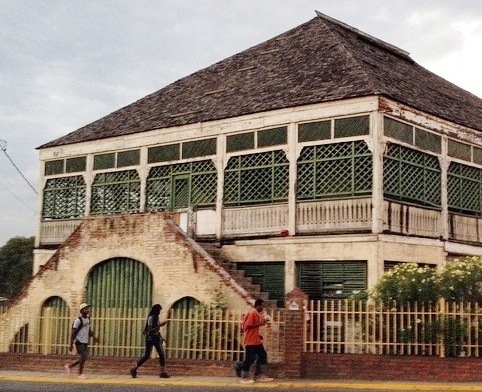 THE island of Jamaica, is presently going through a period of restoration — that is, the restoration of old buildings. 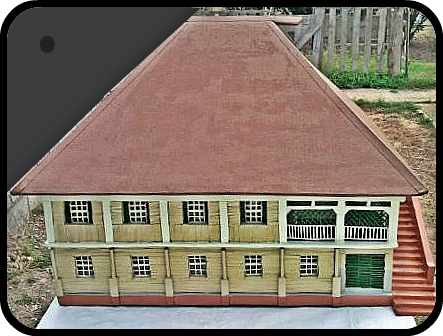 These include structures built from as early as the 17th century. 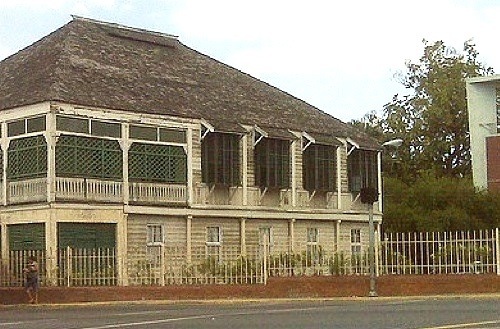 and most recently at Half Way Tree, some of Jamaica's most beautiful and historic buildings are being restored. 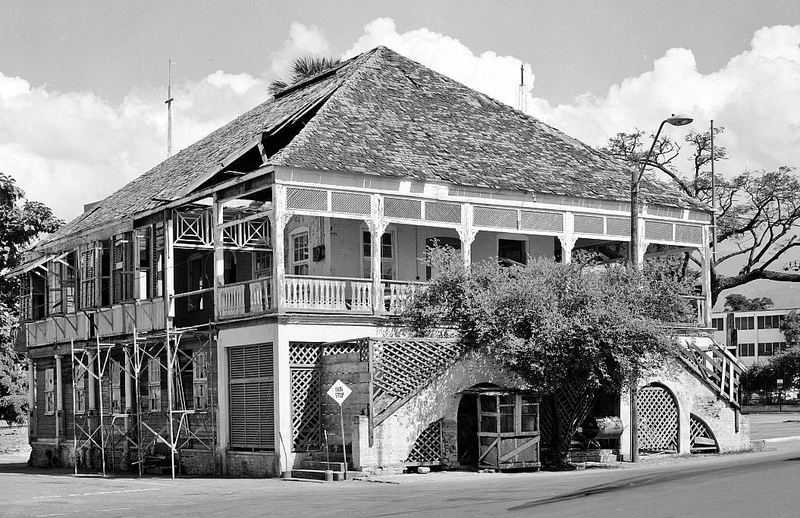 Although there are people who would prefer to see these buildings demolished, there is apparently a growing consciousness among Jamaicans about the architectural and historical importance of such buildings. 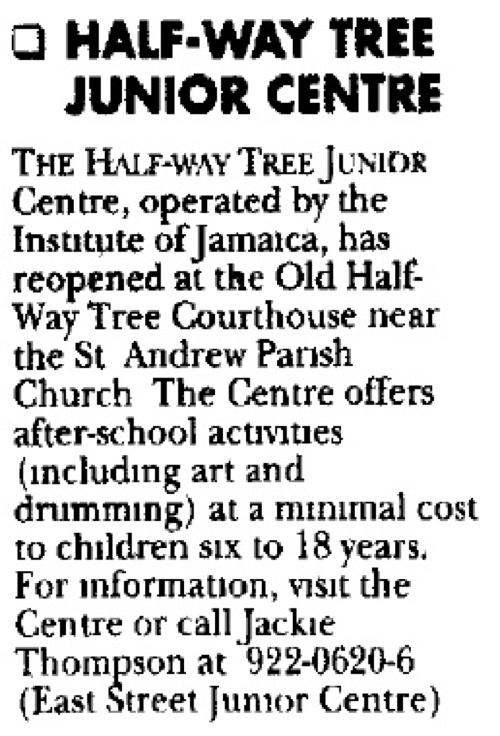 The Old Court House at Half Way Tree is also to be restored. 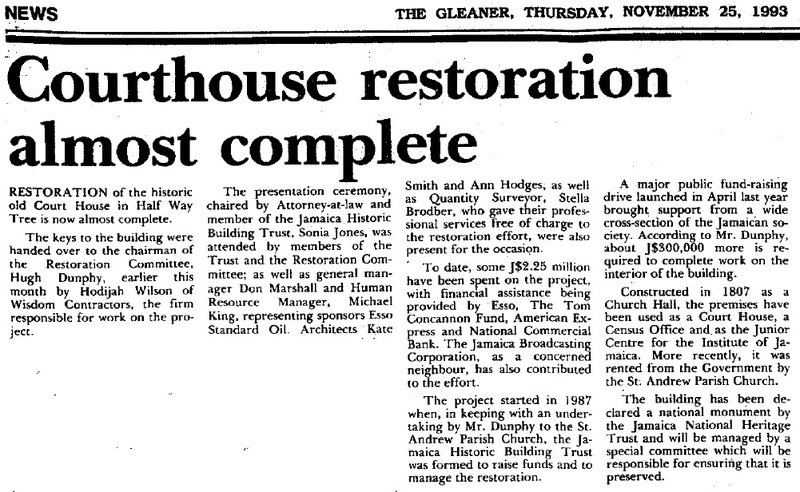 According to a reliable source, the building has been leased by the Kingston Parish Church and is to be restored by a new restoration company.